Future is not made by those who dreams bigger. Future is made by those who willing to make their dreams a reality. Let your mistakes be your motivation, not your excuses. 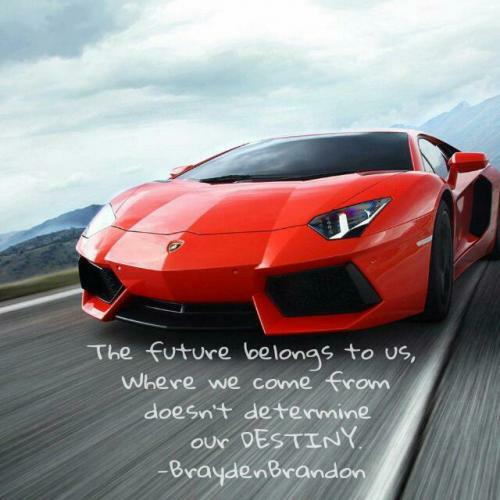 Decide right now that negative experiences from your past wont predict your future. Your life is not decided by fate; you must create the future you want by taking the right actions now. The past is your lesson. The present is your gift. 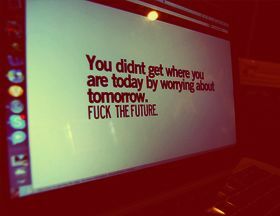 The future is your motivation. Extremely motivated looking forward to a Wonderful future, all you need is Faith! If I looked deeply enough into my past I could reveal a lot of joy and sorrow, but I believe that doing the best I can with what I have today will lead to even better times tomorrow.